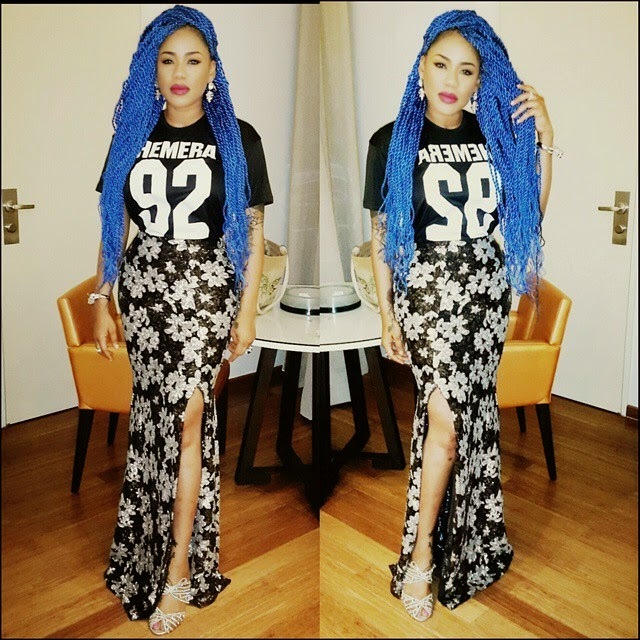 Toyin Lawani’s has rocked all colours of braids from Pink to white. 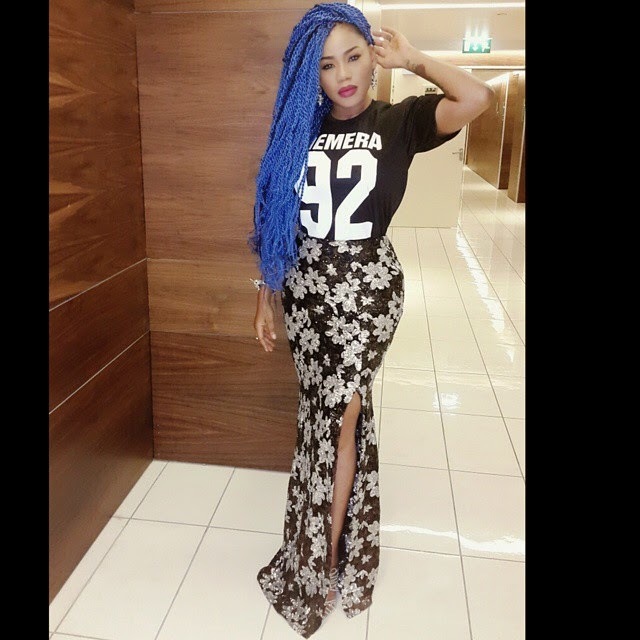 Last night, she stepped out in blue. Feeling it?